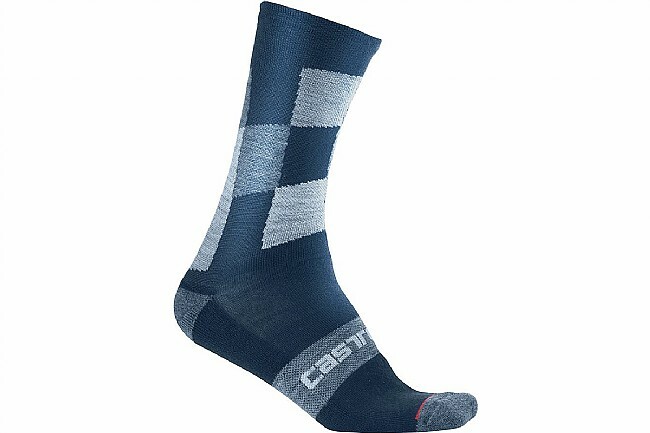 Castelli's Men's Diverso 2 18 Sock is their thickest, warmest sock offering, made of a soft Merino Wool blend that retains heat yet is breathable and moisture-wicking. The reinforced toe and heal protect against wear-and-tear. Wool's natural antimicrobial properties fight against odor. Its 18cm cuff height offers a little extra protection from the elements. Thick, soft, cold weather socks.